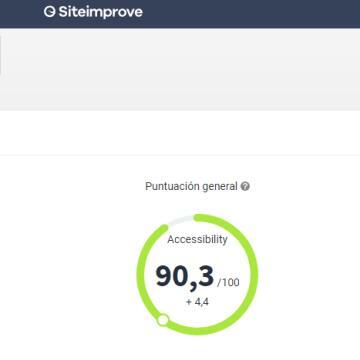 During the process of creating the website www.museothyssen.org, accessibility was an important focus not least because of our obligation as a public organisation to comply with the regulation UNE 139803: 2012 (the equivalent of Web Content Accessibility Guidelines –WCAG- 2.0)to level A and AA. The Thyssen-Bornemisza National Museum regards technical developments and new technologies as opportunities to reach out to a broader public, offering equal opportunities regarding access to information. We have worked to make our online catalogue of works and artists into a digital library enriched with metadata, and strive to make it accessible to all members of the public. The pages of this website comply with regulation UNE 139803: 2012 to level AA and with the Web Content Accessibility Guidelines –WCAG- 2.0 of the W3C. The pages are audited with a diagnostics tool by Siteimprove. Perceptible: non-textual content has an alternative description. HTML code is not used to format content and instead all graphic formatting of contents is made in CSS code. Aria-labels are used to describe sections, forms, menus and animated content, etc. Colour contrasts have been improved to facilitate the reading of texts and to ensure the correct identification of links. Manageable: content can always be managed by using the keyboard and is not subject to a time limit for reading. This is extends to other elements too including image carousels, content in tabs and pop-ups. Key elements are highlighted graphically to facilitate their identification and our navigation menus, forms and drop-down elements have all been designed to be clearly identifiable. Comprehensible: the language in which each piece of content is written is clearly shown. All forms are correctly labelled (each field has a description and the available shipping options are clearly stated). Any mistakes made in the filling-out of forms are clearly highlighted. All sections and text blocks have a title with Aria-label attributes or if this is not available and Aria-described by is used. Robust: the layout of the webpage follows the latest HTML 5 and CSS3 trends, with a view to offer maximum compatibility with major browsers. Therefore, if you spot an error or have any suggestions for us, please do send an e-mail to accesibilidad@museothyssen.org.